Lock in a great price for Sherloft Home & Hostel – rated 9.4 by recent guests! I like the vibes and ambience of the property and the staff at the reception. What stands out though is the mindfulness and hospitality of the owner. She entertained us with stories about Lanna culture and invited us to a traditional meal to celebrate the end of the Songkran festival. She even went the extra mile of dropping us at the night market and to the airport on my way back. She is the "WOW" factor in customer service. I really like this hostel. It has comfortable beds, a really nice breakfast and clean facilities. The communal areas are cozy and they have a nice little garden that you can chill out in. The staff is really nice and helped me book a bus to Laos. Quiet, good breakfast, accommodating reception for tours or bus rides to Pai, good location and free towels to use. Very good location, helpful staff, have free bikes to ride in old Town. Rooms are clean and spacious. Most comfy bed we had in Thailand. It was amazing! The staff were extremely friendly, they helped us book cooking classes and rent mopeds. They had free bikes on the property to use. The breakfast was big (the banana waffles are delicious). It was in a great location next to everything you need. The hostel is set up in a way that it is easy to interact with other people staying there too. We stayed in a private room and it was huge and quiet. I would stay there again in a heartbeat. The best hostel I have stayed at in Thailand; very homelike. Awesome breakfast buffet included in the price. The staff was super warm and welcoming. It’s a home away from home. Sherloft had the most amazing staff, clean rooms and bathrooms, comfortable beds and is just a short walk from most of the temples and night markets. I stayed there during the Loy Krathong and we even had free krathong making! The staff were so helpful, from helping us figure out the most economical way to get to where we want, to pointing us in the right direction to making sure I get a bed even during the peak season. The common areas are airy and is perfect for getting people to socialize. They had free bikes too!! Shout out to Fang and J and the night receptionist guy for all the wonderful service! Thank you! The reception is super helpful! They organized all the tours and all the activities, gave good tips and were always there to help with any problem! The hostel has several Zen corners to relax and reflect. I met many nice people there. One of our best sellers in Chiang Mai! Located in a convenient area of Chiang Mai Old City, Sherloft Home & Hostel offers accommodations set within a walking distance to several famous areas, restaurants and message parlors. Free WiFi is available throughout the property. Dormitory rooms provide air-conditioning, a key card access system and private lockers for guests' convenience. Each bunk bed is equipped with its own safety deposit box and a personal reading light. The shared bathrooms are separated between men and women. Each is fitted with a hot rain head shower. Guests can relax at the living room or cook at the kitchen. A small party can be arranged at the hostel's backyard. Other facilities include a pre-paid washing machine, a microwave and a juice blender. Free public parking is provided for both motorbikes and cars. Saturday Walking Street and Sunday Walking Street are 2,650 feet and 1,650 feet respectively from Sherloft Home & Hostel. 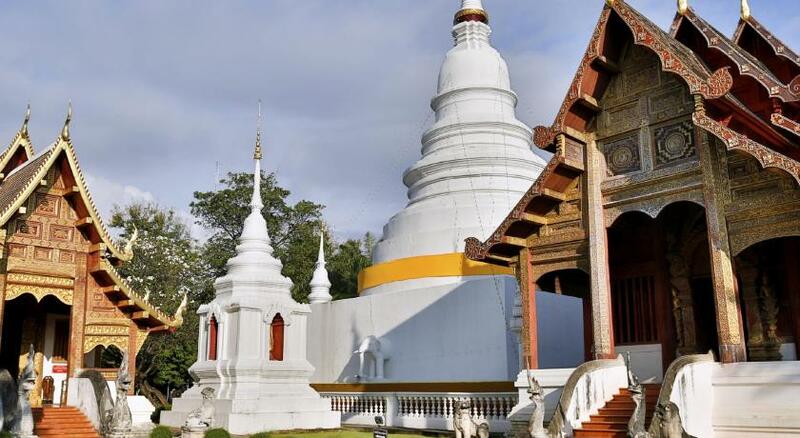 Wat Phra Sing and Wat Chedi Luang are a 5-minute walk from the property, while Chiang Mai International Airport is just a 10-minute ride away. 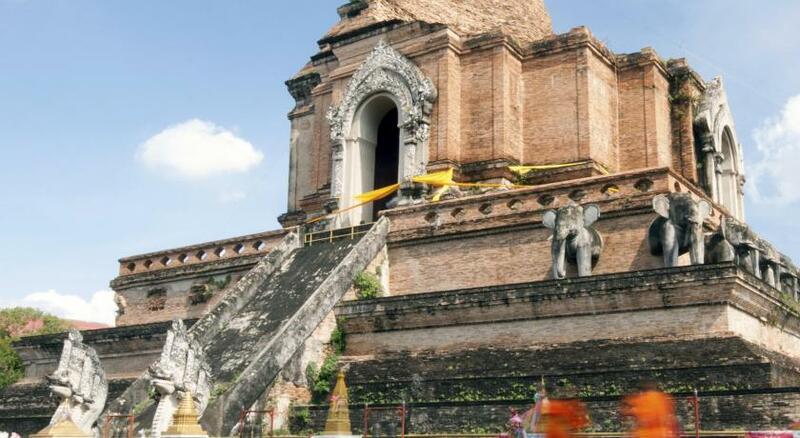 뀐 Located in the real heart of Chiang Mai, this property has an excellent location score of 9.3! When would you like to stay at Sherloft Home & Hostel? House Rules Sherloft Home & Hostel takes special requests – add in the next step! Please inform Sherloft Home & Hostel of your expected arrival time in advance. You can use the Special Requests box when booking, or contact the property directly using the contact details in your confirmation. Kettle in the room could be a bonus, and gluten free breakfast options. The staff were very accommodating of our early arrival-offered tea and an early check-in. Hostel is set back in a quiet area, but we were able to walk to most places. The vibe is very easy going, and felt like a home. Breakfast is offered but no GF options. Although we did visit a Cats Station cafe (5 min walk) where we had the best omlette ever for lunch! The mosquitoes ...hope they will fumigate the property. Nothing to say - this is the place if you don't want to spend too much and are looking for the most confortable stay in Chiang Mai! We stayed here for two different nights, and our room for the second night was even better. The staff is just the warmest and nicest people you can find in Thailand! The room was huge, super clean and confortable. Excellent value for money. make sure to bring mosquito spray. Don't let that stop you from coming here though, it's well worth the money. Nothing. It was very good. Maybe just a curtain or a closed shower because the entire bathroom gets wet if you're not careful, but it's nothing to worry. The staff are super nice and available to help with anything we asked for. The rooms is extra clean, confortable. The hostel is extra cute! The facilities are great the hostel has a beautiful garden and lot’s of spots to chill out. The location is very nice, tucked away in quiet streets but close to the old town and amenities. They include free bicycles and water guns during Son Kra. The breakfast is very varied and delicious. But most of all the staff is super friendly and the owner is very accommodating and super nice! Incredible hostel! Super friendly and helpful staff. Nice and clean rooms, great common areas and tasty breakfast. It's in Old Town so there's quite a lot to experience nearby. It's the best hostel I've stayed at ever! I've been traveling for 10 months now! Staff is very accommodating and happy to help! Beautiful home! Comfy beds and seating throughout! Good breakfast in the mornings, included. Great location! We asked the hostel staff to order a taxi to the airport for the upcoming morning at 5 AM. However, the taxi driver didn't show up. Of course reception was unstaffed at that time, but luckily they gave us the phone number of the taxi corporation. Kindly the receptionist of the BP hotel nearby called for us (we don't speak Thai). 20 minutes later the taxi driver showed up and told us that he forgot to set an alarm. It didn't seem like an official corporation (no taxi sign, no taxometer) but the price of 200 Bath was similar to what we saw advertised in the city the day before. We made it but lost a lot of nerves. Though it was not the hostels fault, it left a sour taste. Apart from that we really enjoyed our stay here. Staff was very friendly and recommended the top places to visit uncalled. The e-mail with instructions how to find the hostel was appreciated. We also liked the garden. Showers had quite a lot of hair in. Apart from that, very nice. This hostel is really nice. Staff is super friendly. Very flexibel people. Good internet. Beds are comfy, have a curtain (lower bed). There is a small safe and a locker for each. Showers are very nice. Laundry facilities and little "guestkitchen". Breakfast is pretty good. Nice backyard for chilling and hanging out. Free bikes :). I stayed here twice, that's how much I like it! Breakfast was fabulous, make sure to try those amazing waffles! Beds are very comfy and clean, there are enough space and couches to lounge around, the staff is very friendly and helpful and the location is great too! You can also have a bicycle for free during your stay!